Home > Sterling_Heights,_MI,_USA > Vendors > Music_Box_Productions,_Inc. 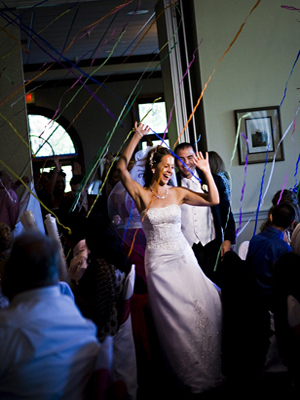 How will your wedding celebration be remembered? 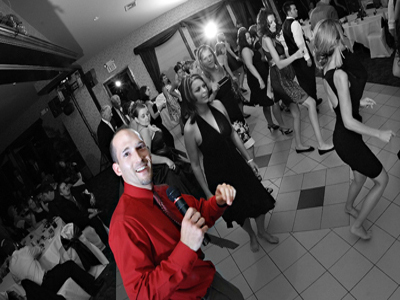 Your entertainment is the one service you will hire for your wedding day that will directly impact the outcome of your reception. 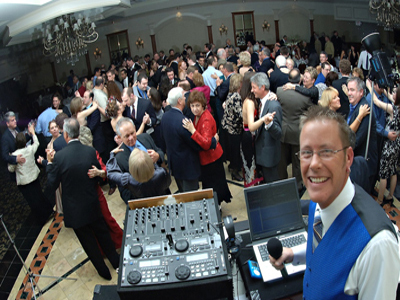 Our experienced team of fresh, talented, and professional disc jockeys are motivated to make your reception the one that will be talked about for years to come. 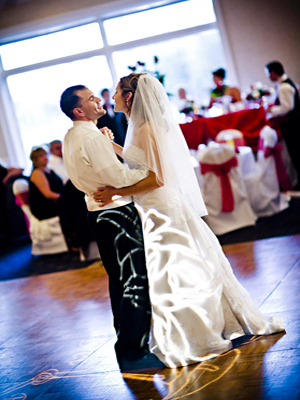 We choose Music Box for our DJ services (ceremony, cocktail hour, & reception music). Fletcher (our DJ) & the office were extremely nice to work with throughout the planning process. We had loads of compliments on the Motown music theme from our friends and members of my parent's generation too. Fletcher did a really good job listening to the type of music we wanted. Some guest complained (to my parents) their song requests were not taken (not sure if their requests were lame or what happened there). My cousin did request a Black Eye Peas song that had already been played and Fletcher asked if he could play it again. I think we were all so excited we could have danced to that same song all night. The dance floor and the bar were slammed all night. Fletcher didn't really have to interact with the guest/ encourage them to dance because our guests are dancers. He did make some announcements we requested. 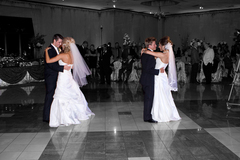 My groom & I were very happy with the music we heard & the service we received. I cant say enough good things about MBP. The service was amazing. I worked with Fletcher from start to finish. It was the first vendor that we booked because we didnt want to miss out. 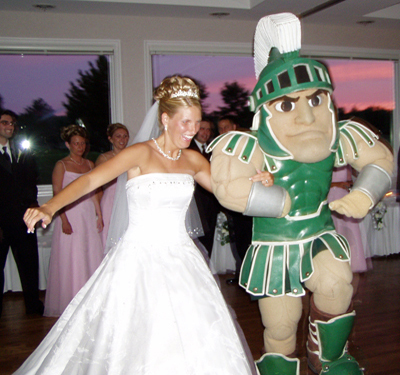 He also did my brothers wedding. Fletcher made the planning process more than easy. 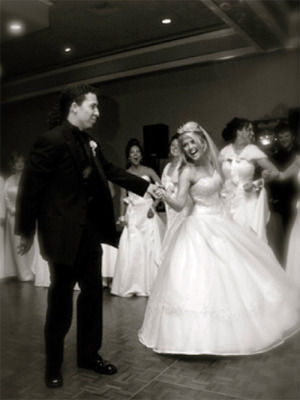 As a busy bride, I could hardley make it to that side of town so we picked songs over the phone. He was very flexible & always quick to respond with my emails. Thats the best when I worked long hours and email was my way of communication with my vendors. Let me just say that I gave the control to him about the music. I gave him of few examples of what we liked and the reception was a hit. 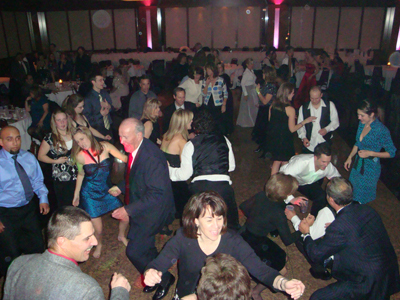 My friends and family had an awesome time dancing and the floor was always filled. Him and his assistant knew what to play and when to keep the crowd having fun. He was great, always checking on us seeing if we needed anything and just kept the flow of the recpetion going. Very professional & more than we could ask for. We also ordered a monogram light from MBP and it was awesome. It made the look of the wedding. It gave the room that little extra and looks great in all of our pictures. I highly recommend MBP. We are so lucky to have them be apart of our wedding. They are a great company to work with, they will make your planning process easy and flawless and will do everything they can to make you and your guests have a great time ! Fletcher Price & Kyle Dubie were wonderful, great personality, very professional, everyone had a blast! Thank you guys! Musicbox allows you to pick your DJ. We picked one of the owners, Rod, to do our wedding. He was great. He knew how to get the party started, keep it going, and knew what songs not to play. 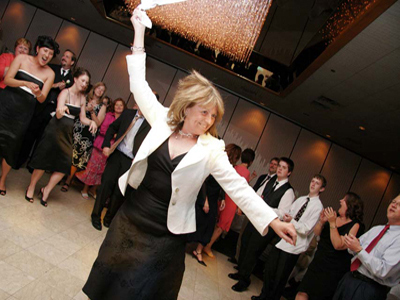 Our guest danced all night and had nothing but good things to say. I have not seen their other DJs, but I'm sure they are just as good. They did an awesome job and were very experienced. I know they really wanted to do the best they could and we were very pleased. They supplied two DJs and were ready with backup equipment in case anything failed. It was amazing! Everything from our initial meeting with the owner Kimberly to our DJ's Tony and Christian, they were awesome. THe whole night ran smoothly and the dance floor was PACKED.. literally until the venue had to the turn the lights up. BEST EVER DJ AND MC SERVICES. Awesome DJ. We had Fletcher. Highly recommend him. They made the wedding such a fun time! I can not say enough great things about this company! Worth every penny I spent on them.